Currently, a few media players online can afford 4K UHD videos for Windows PC as well as on Mac. In order to get the best video playback quality, this article will offer you some of the most useful and powerful 4k video players that are available on Mac and Window 10 platform. Keep reading. It is a powerful yet professional player for Windows and Mac. With this 4K UHD player, you can play 4K/5K/8K videos at any format without choppy or other issues. 1. Support 4K video playback natively without installing codec pack. 2. Play 4K content lag free. 3. Compatible with codec like H.264, H.265, VP8/VP9 to play 4K videos in different video containers. This open source and free to use 4K UHD video player offers cross platform multimedia support and its advanced framework is capable enough to play almost all popular media file formats. Play everything ranging between live streams, devices, webcams, files and discs etc. Support all popular file formats without additional codecs. No ads and spyware issues. 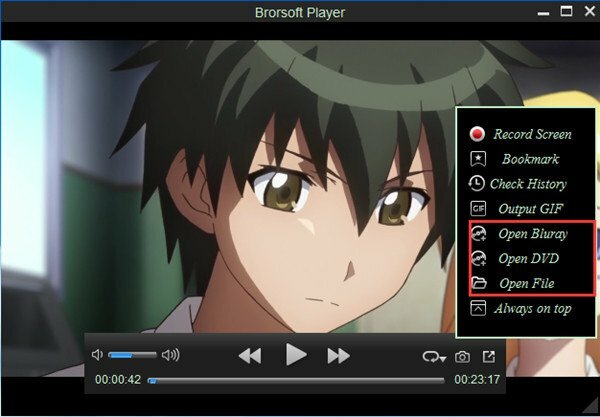 It is a media player which offers highly versatile interface with extended support to all inherited formats whereas advanced media files can be played easily with automatic codec updates. Inbuilt internal and external codecs. Supports OGG, WMA 8/7, AAC and MPEG 1/ 2 file formats with ease. Step One: Free download and run the best 4K video player on your computer. Step Two: Click "Open File", "Open Bluray" or "Open DVD" to load media files for playback. 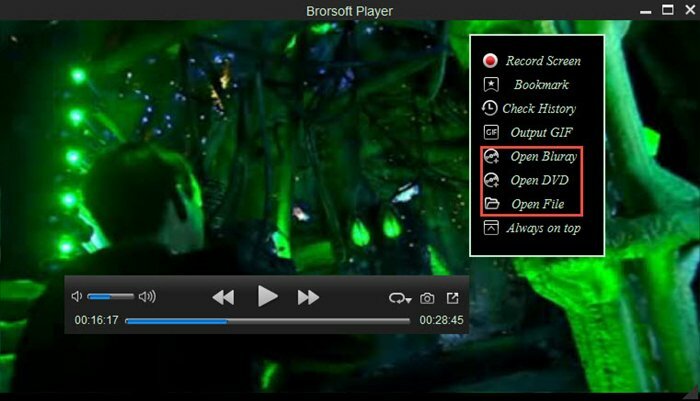 If you wanna play 4K videos including 4K MP4, 4K MKV, 4K H.265 .etc files on Windows 10/8/7, you can click "Open File" and locate the 4K MP4 videos to play directly or right click the 4K MP4 file and choose "Brorsoft Video Player" to play the videos. Now, you can enjoy the videos freely. 1.You could click "Open Bluray" or "Open DVD" to browse and load disc movie folder for playback. If you wanna open Blu-ray folder like BDMV, you only need to figure out the .m2ts file in the Stream folder of the BDMV folder, like "BDMVSTREAM0000.m2ts" via "Open File". 2. To play ISO file, a virtual drive should be installed on your computer in advance. Launch the virtual drive and load the ISO file, then you can operate the same way as playing Blu-ray disc.